Our 2017 Road Trip, Part 8: Coming Up on Crab Country « Midlife Crisis Crossover! It’s not a proper road trip without an impromptu stop at an authentic small-town diner that refuses to serve small portions. After spending a few hours driving and walking around the grounds of Antietam, we were overdue for lunch. First we turned to Google Maps for nearby recommendations, which led to a merry chase up and down the nearby town of Sharpsburg for a barbecue joint that apparently didn’t exist, or perhaps was in someone’s basement, or possibly was floating in the clouds above us. I can’t say I was shocked, as Google Maps has let us down before — multiple times on our 2015 trip to New Orleans, in fact. Eventually we gave up and headed northeast toward Baltimore, hopefully to or near one of its higher-rated suggestions in the next town of Keedysville. This time the restaurant existed, but showed up several blocks earlier than my phone told us to expect. 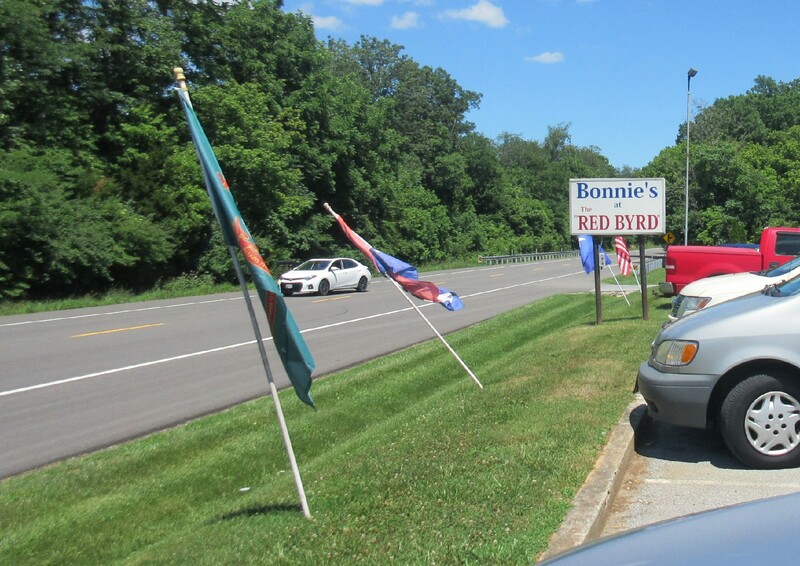 Thus fate brought us to Bonnie’s at the Red Byrd, exactly the kind of diner you want to find when you’re starving and you’re dozens of miles away from the nearest corporate franchise. I had to brake and jerk the wheel hard right roughly two feet from the entrance, but at least I didn’t pass it. 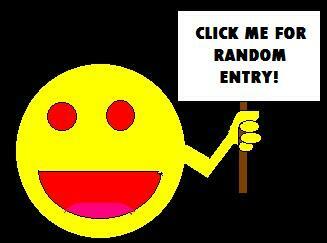 Because accidentally passing a thing, then having to turn around and come back to it is for losers. Business was still steady at 2 p.m. on a Sunday. Seating us took a few extra minutes, as did returning to take our drink orders. Once we’d settled in, service was just fine from there. 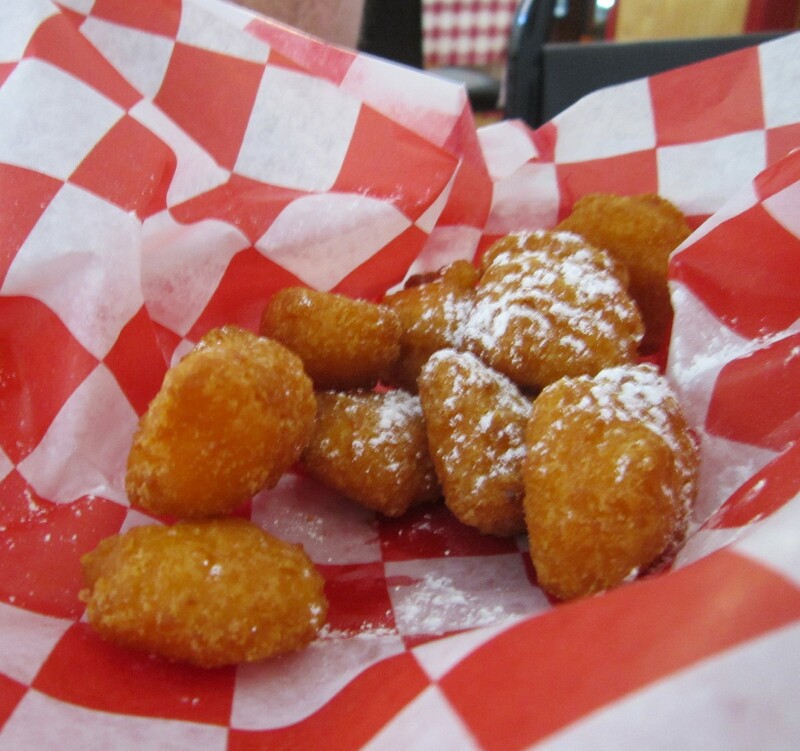 We started with an appetizer of fish nuggets lightly coated in sugar, not the kind of thing we see every day. We’re not the kind to fixate on the more popular starters like fried cheese sticks or Bloomin’ Onions. Anne will have to remind me if these were catfish, cod, or Other. Our lead photo is my own meal, a crab cake sandwich surrounded by cole slaw and a scoop of potato salad. Throughout our trip, Maryland never let us forget they’re major players in the American crab industry. Everywhere we went, crab was likely to be available. I’ve never seen crab cake sandwiches listed on so many menus in any other city or state. Maryland is also the first place I’ve ever seen Old Bay seasoning kept on tables next to the salt and pepper. Apparently they love their Old bay the way other states love their barbecue sauces. Anne opted out of seafood because she reckoned we’d have our fill of it later in Baltimore. 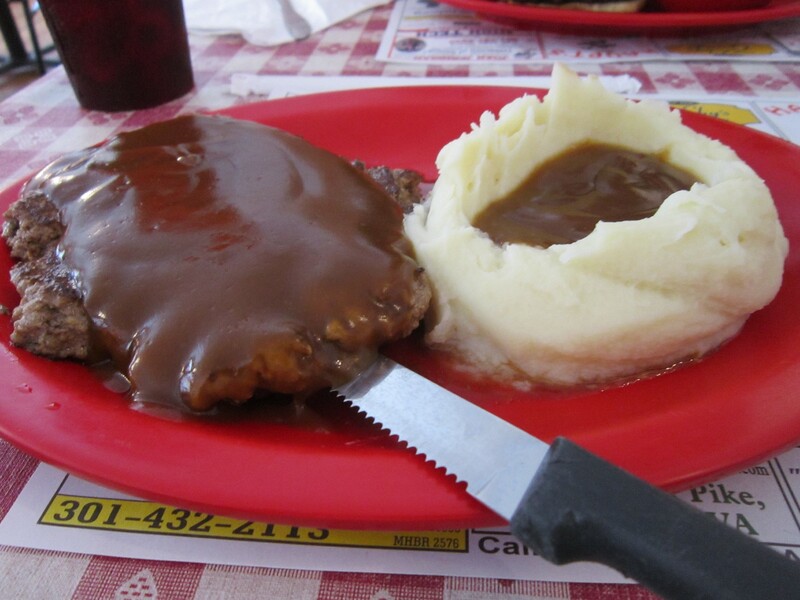 Instead she went all-in on the diner comfort food and got herself a simple chopped steak doused in brown gravy and taking up half the plate. She would’ve accepted no less, even if there was no chance of her finishing a plate this size without my help. It’s a long-running private joke between us that whenever we try new restaurants, 9 times out of 10 I end up with a daintily crafted morsel while she has to stare down a meal fit for a seven-foot trucker. Seriously, this happens to us ALL THE TIME. Most of the place was too crowded for decor beyond the standard diner trimmings. Most of their extras were stashed in the hallway leading to the restrooms. 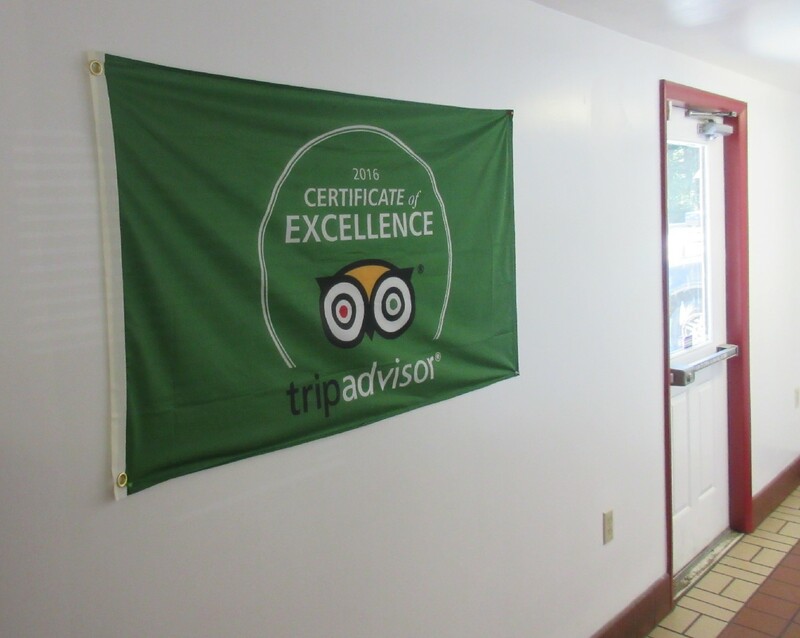 Their official As Seen On TripAdvisor banner. A quick check tonight confirms they’re still loved there, though a few Yelp users seem a tad disgruntled over minor quibbles. 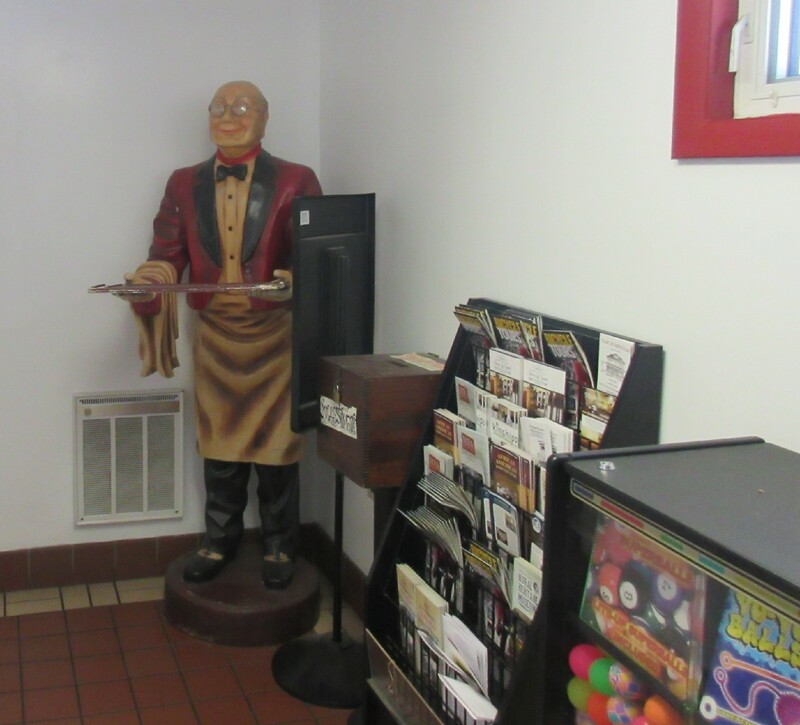 A waiter statue that probably used to greet customers is now relegated to travel brochure monitor duty. By the time we finished all of the above, neither of us had room for dessert. All we could do was admire their plentiful display case and weep on the inside. I’m now fiending for pie just looking at this again. We regretted missing out on their bakery of delights, hopefully none of which was saturated with Old Bay. 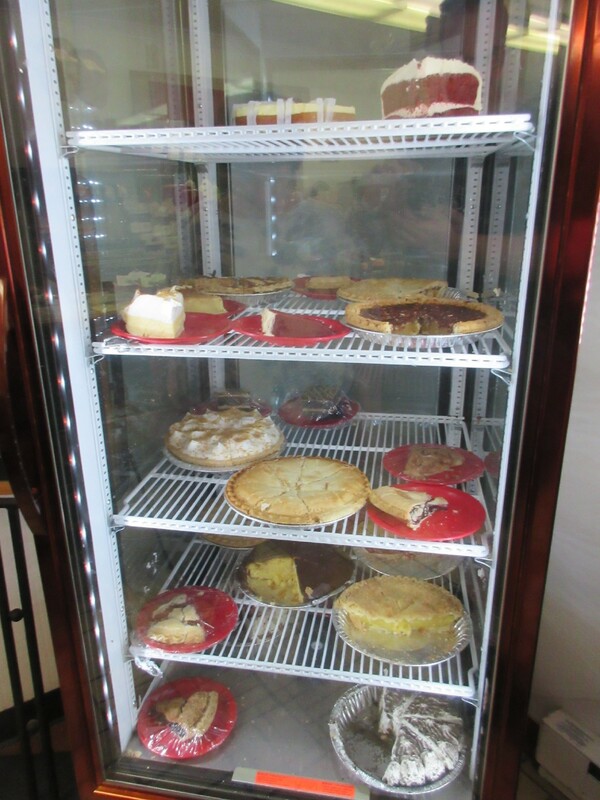 But I promised myself that once we reached Maryland, whether that evening or another day, I would find room for the greatest Maryland desserts of all time. We very nearly made good on that promise, but that moment of joy was a few days away. We still had dozens of miles standing between us and Baltimore, and at least two more stops on our sightseeing agenda along the way. They were deep-fried corn nuggets, dear. No kind of fish at all. That would explain why the sugar topping didn’t seem bizarre. Thank you for the reminder!